Lingual braces are one of the best orthodontic treatment options for the patients who don’t want to get their braces visibly shown. It is one of the invisible treatments which have known to have the same or even better results than the usually placed metal braces. The best thing to appreciate is that in case of lingual braces one can talk, speak and laugh with freedom without staying conscious of the braces as no one will come and see into the mouth of the patient. 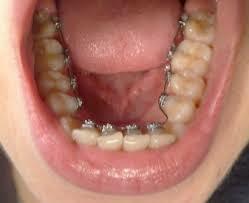 Lingual braces Chennai can be classified into the incognito braces and harmony braces. The incognito braces are the ones which have been built to take care of the aesthetics of the adult patients as well as ensure that the treatment has been successfully accomplished. The harmony braces are the first type of braces which have been digitally prepared and are self-ligating in nature. 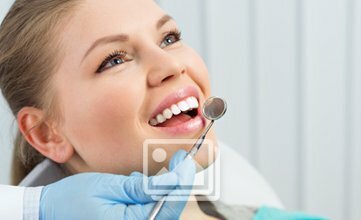 This provides a better approach of the patients as well as the dentists towards the treatment. Moreover, the lingual braces Chennai require a combination of skills to be placed right according to the condition of the patients and the results which are aimed by the dentist. An experienced orthodontist will be able to place lingual braces and get the treatments successfully done thus providing the patients an absolutely new and beautiful smile. Lingual braces are a boon for the patients who want to look good like before throughout their orthodontic treatments. The best part is that the patients can be at great relief throughout the treatment duration. Usually, the treatments have a duration of 18-36 months depending on the severity of the case. The orthodontist plans the treatment in such a way that the patient can easily get the new smile within an approximate estimated period of time. Thus, lingual braces Chennai are of great advantage for the patients who want to improve their smile and stay relaxed in every state of the treatment.